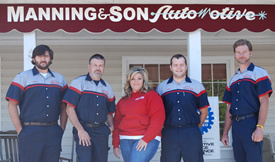 Here at Manning and Son we realize your automobile is a vital part of your daily life. 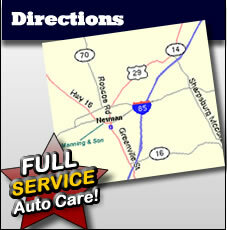 Whether you need routine maintenance, or your experiencing a problem with your vehicle and need car repair, we make it a priority to get you back on the road as quickly as possible! 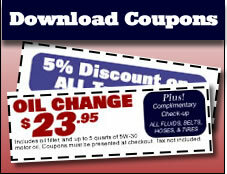 We specialize in all types of auto repair such as emission repairs, brake service, tune-ups, oil changes, and computer diagnostics. We also offer TransTech transmission service, air conditioning services, MotorVac fuel injection cleaning, and complete engine installations.